Happy Birthday Toilet Paper. Another original complement to the birthday party you are organizing, the confetti is no longer carried. 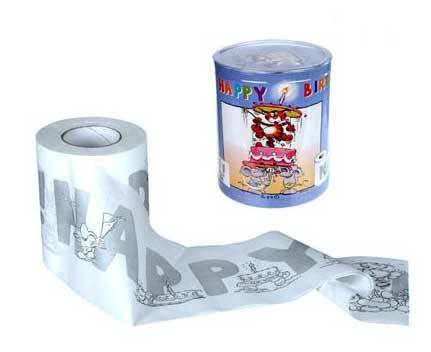 Change the confetti, toilet paper for when coding singing Happy Birthday. A new form of compliment!